Brandy Blanchard went above and beyond to answer every question, look out for our interests, and offer superb customer service throughout our time looking for a house. Brandy clearly enjoys what she does as she digs through details with a smile and the knowledge of an expert. I would not hesitate to use Brandy as an agent again for any of my real estate needs. Back in 2013/14 my wife and I were in the process of searching for a new home in the southwest Michigan area. Considering available existing options, we had all but given up after an exhaustive home search, at a time where there were few homes in our area of interest available. We had started looking for land to purchase in Kalamazoo Michigan to begin the process of planning and construction of a new home, (not our desired path). Our Realtor, Brandy Blanchard had been canvasing the area and had come across a home meeting our needs in the perfect location that had been listed in the past, however was not for sale at the time. Brandy approached the current home owners asking if they would consider selling their home. A long story made as short as possible, Brandy was able to list our current home, organize (1) open house event, and sell our existing home in Otsego Michigan within (3) days. This allowed us to meet the contingency requirements in place required to purchase the afore mentioned home, that was not previously for sale. Brandy’s energy, coordination, task management skills and the ability to negotiate a number of critical issues/emotions required to complete the sale(s), all culminating in selling one home and purchasing our new home, closing on both the same day. Brandy did an outstanding job for us and a few close friends subsequently and will be selling another home for us in the same area very soon. 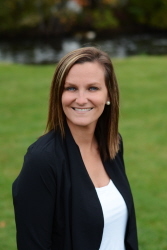 I cannot begin to tell you how helpful Brandy was in selling my house in Shelbyville Michigan. I had never sold a house before, and had no idea what I was in for. She made the process very smooth by helping me through each step. I did not know there would be so many things that needed to be done to get it sold. There were about 10 things that needed to be fixed – ceiling tiles replaced, garage door fixed, roof vent installed, plumbing rerouted to be in code, etc. – I was freaking out. She calmed me down (not easy), helped me find an awesome contractor at a great price and kept the process moving as fast as possible. When the buyers realtor was not being helpful to the buyer, Brandy stepped in and helped him as well, allowing me to get my house sold and him buy the house he wanted. I cannot express how awesome she was during the process. I am hoping never to have to sell a house without her. Brandy also helped me purchase our new house in Plainwell Michigan. She was just as fantastic during this buying process, as she was when I was selling. During the house hunting period she was incredibly patient, and showed us many, many houses - working all hours of the day, and even on weekends. Once we found the house we wanted, she worked diligently to get it for us, at the price we wanted to pay. She made the process very painless by always being prepared and keeping us informed every step of the way. Just as with selling a house, I am hoping to never have to purchase a house without her help. We cannot speak highly enough of our experience working with Brandy Blanchard. In the past 4 years we have bought and sold a total of 4 homes working with 3 different realtors. Brandy was by far the best agent we have ever worked with. Brandy made it very easy to sell our home, she prepared us with what we would need to get our home ready for sale and sold our home above asking, bringing in multiple buyers and it was off the market in 4 days. Throughout negotiations and closing Brandy was there quickly handling any issues that may have risen. If the time ever comes when I will be looking for a new home, there is no question on who my Realtor will be!